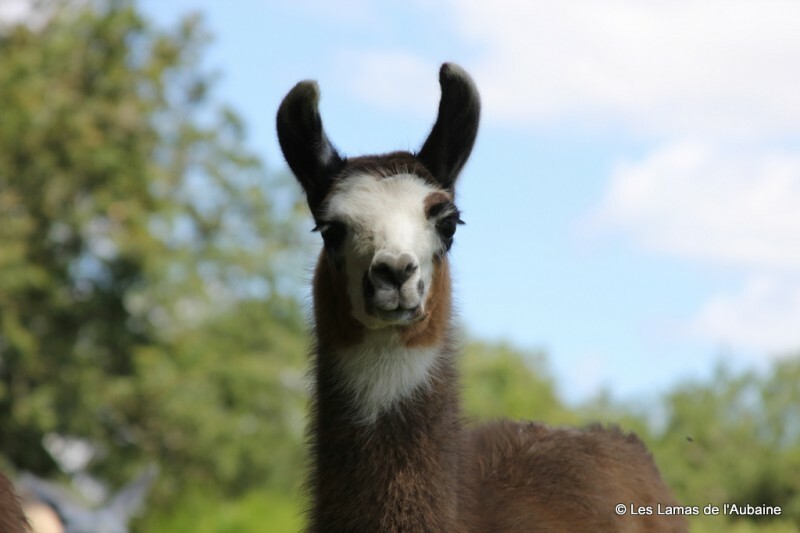 All of our female llamas are now gone. 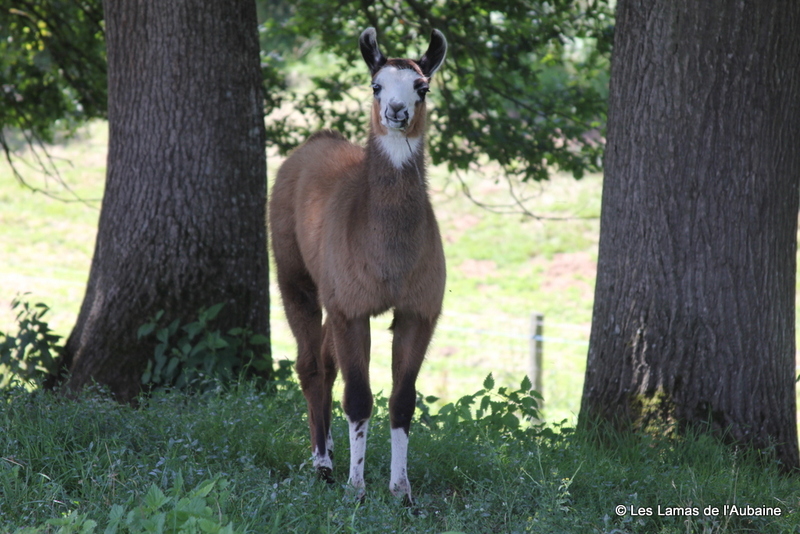 Elif is the oldest, and very much the herd matriarch. 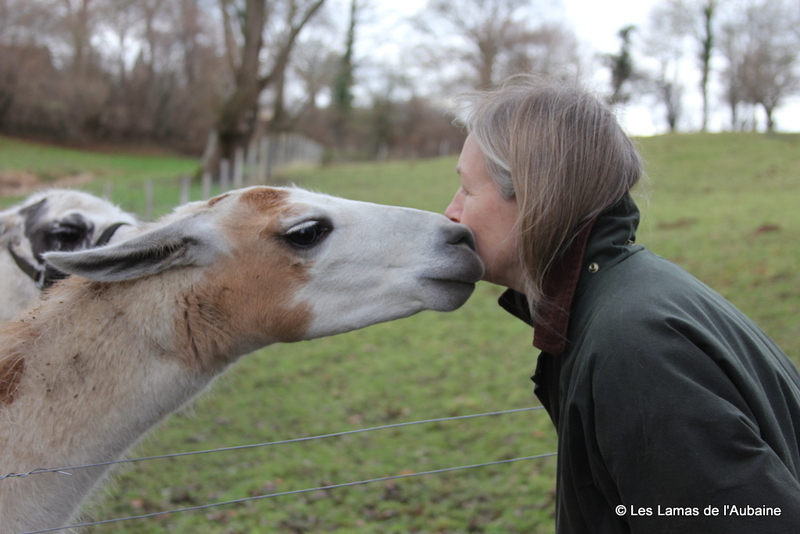 She is a proven breeder, and an excellent mother. 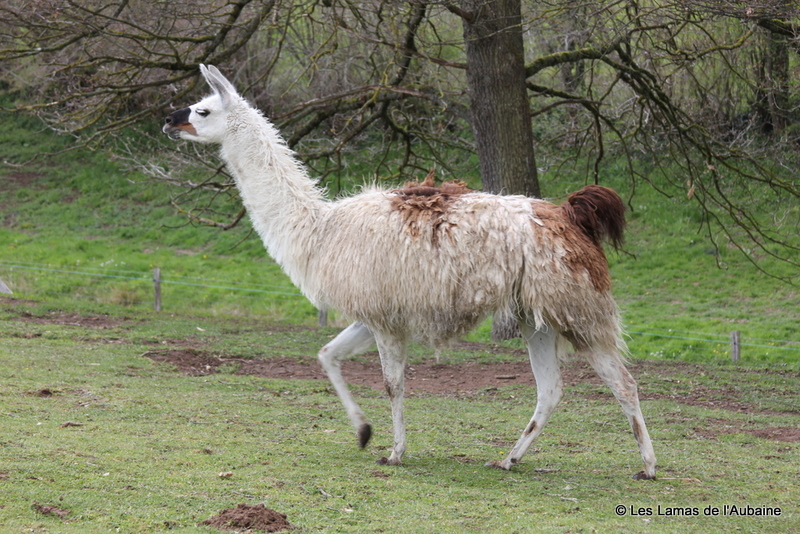 Her latest baby, a female called Pavot (French for poppy), was born in May 2012. Although she is now 15 years old, she could continue having babies for some years yet. She is also a very stable influence on a group of females. She definitely leads by example. 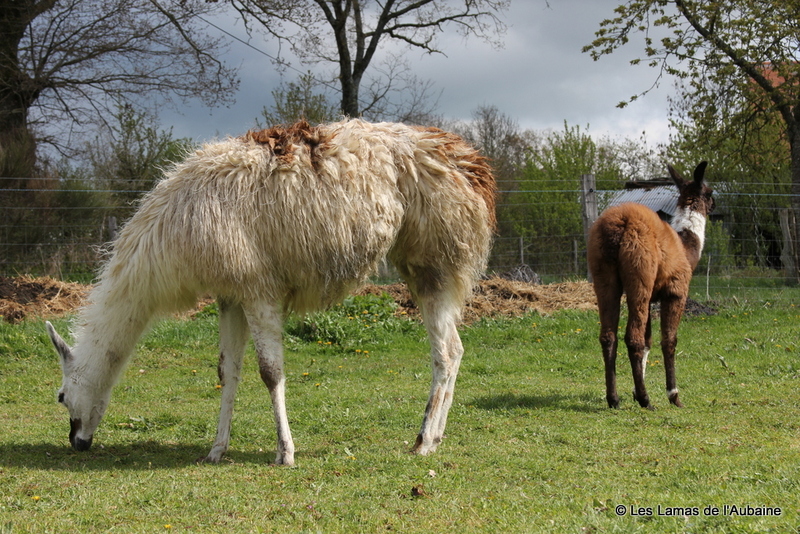 Elif can only be sold with her baby, as Pavot will not be weaned until the end of 2012. Ana (short for Anastasia) came to us after her mother was killed in an accident when she was young. She is extremely friendly and approachable. 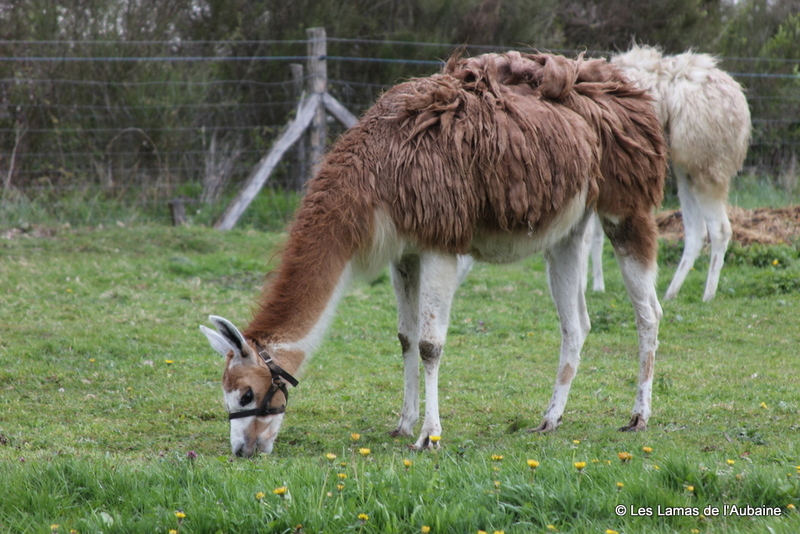 Although she would make a very good mother, especially if her offspring inherited her temperament, we have kept her as a companion llama for our retired male, Pedro. 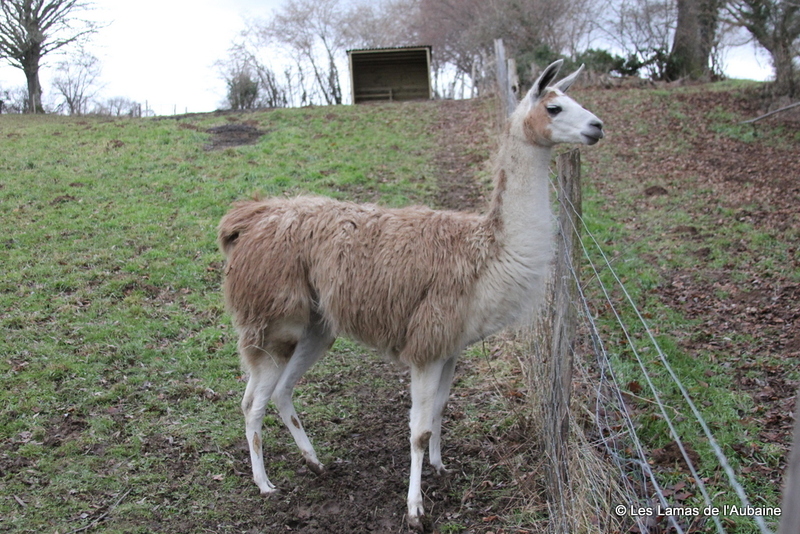 They are a splendid pair who would be ideal for someone wanting pet llamas for grazing and occasional walks. 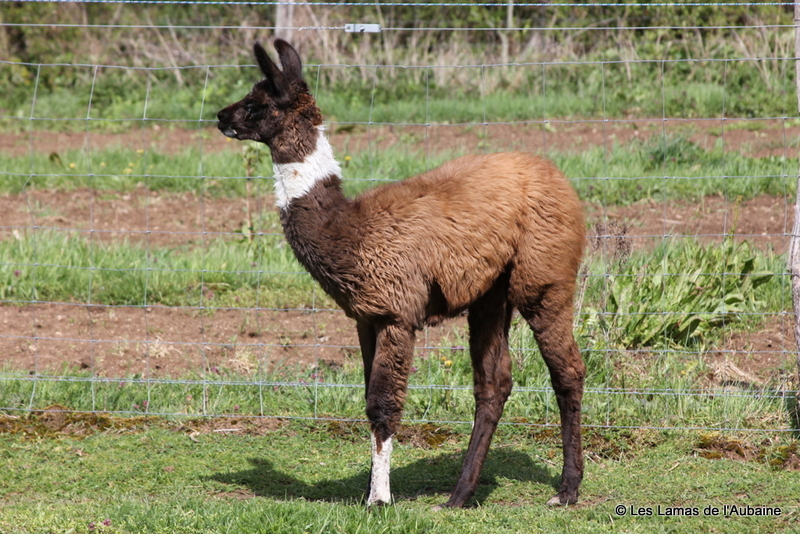 Capucine (French for nasturtium) was born in April 2008. 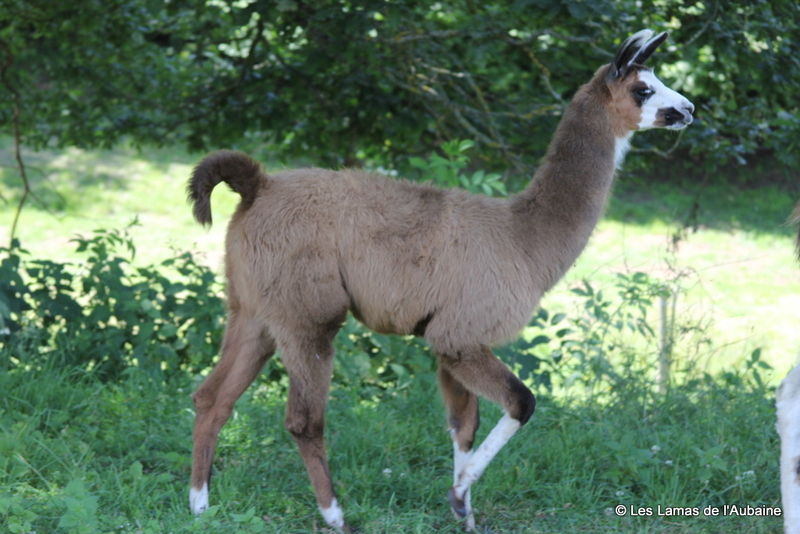 She has had two babies, the latest (Souci – French for marigold) was born in March 2012. She is a very calm mother, and her children are confident and healthy. Without being aggressive, she is very capable of standing up for herself and protecting her young. She is very easily handled. 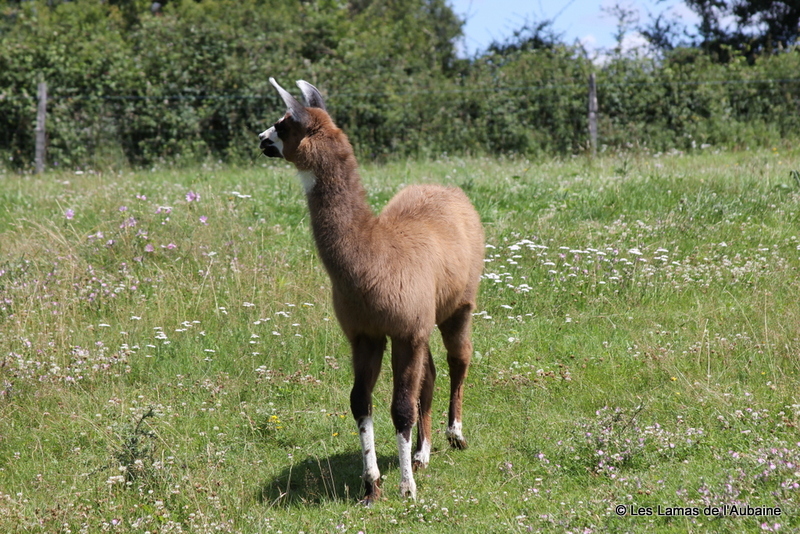 Capucine would be an ideal breeding llama for new or experienced owners. Capucine can only be sold with her daughter, as Souci will not be weaned until late 2012.